Replacement core is designed for use in 3M tape dispensers. Use 1 plastic core when changing core size or replacing lost parts. 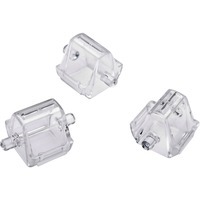 The core slides into dispensers to hold replacement tape sold separately with 1 cores.